About a year ago I came to a major realization: I needed more shoes. I know many women joke about having too many shoes, but I was in the opposite camp, sticking with the same very small rotation of shoes day in and day out. It wasn’t until I was getting ready for a Beautycounter trip last year that I noticed how lacking my shoe selection was. Over the last year I’ve tested a lot of different shoes. Since we live in the middle of nowhere there have been a lot of packages delivered and returned, but here are a few of my new and current favorites! The first time I tried these on, I actually returned them. I think I bought a size too small because the pointy toe was not working for me, but after friend after friend raved about how comfy they are, I couldn’t help but give them another try. I’m SO glad that I did because I’m totally in love! They are an investment, but if you use the referral code below you can get $20 off your first pair, and I love that the shoes are made with recycled plastic water bottles + recycled carbon-free rubber AND machine washable (what?!) which my friends have assured me keeps them looking like new long after you buy them. I got both the pointy toe flat and the sneaker and love the way they look + fit. I’m eyeing the bubblegum pink kid’s sneakers for Ainsley when school starts back up again in the fall! PS: You can get $20 off your first pair when you use this link! Oh my gosh, these shoes! They literally feel like I’m wearing a pair of very comfortable and supportive socks. I wouldn’t say these are shoes I would do actual exercise in, but they have been great for running around town, travel, family walks, and playing with the girls. I actually don’t want to take them off when I walk in the house because they feel so good on my feet. Need I say more?! I’m on the tall side, so heels are never my favorite favorite because I don’t love towering over my friends but the height of these heels is just enough to dress up any outfit without being too tall for comfort and function. Note: With Everlane shoes, I find they run small and are best when you size up. I love a good mule and am SO so happy this trend seems here to stay. These flat mules are my absolute favorite and so easy to wear! I’ve bought two pairs of the blush color! I love Rothy’s sneakers for many of the same reasons that I mentioned about the pointy toe flats, but the sneakers are just SO so cute and comfy that I had to mention them here as well! These are both cute + comfy and work great for dressing up an outfit without seeming too “over the top” if you will. 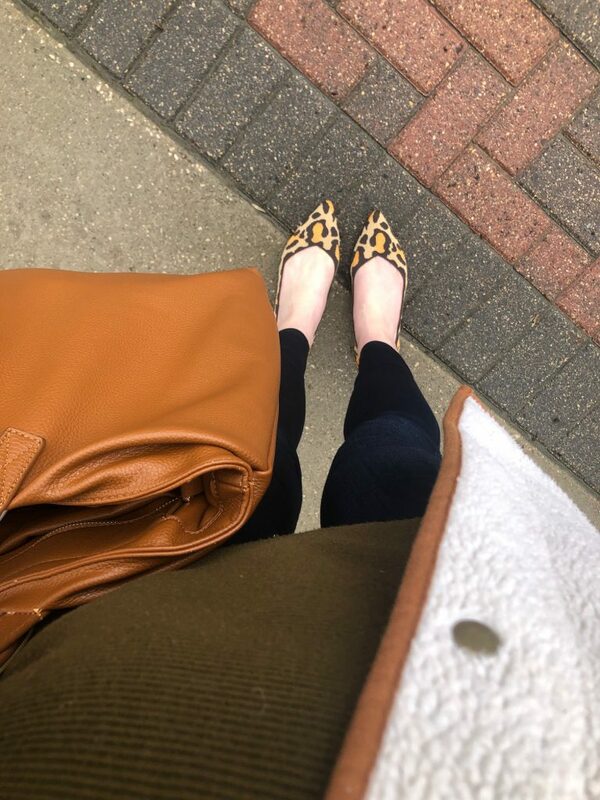 I have a few different pairs of shoes from Naturalizer and I LOVE how comfortable they all are! Hi Friends! Some of you probably saw that over on Instagram I asked for baby boy name suggestions since we are having THE hardest time settling on a name for this baby! 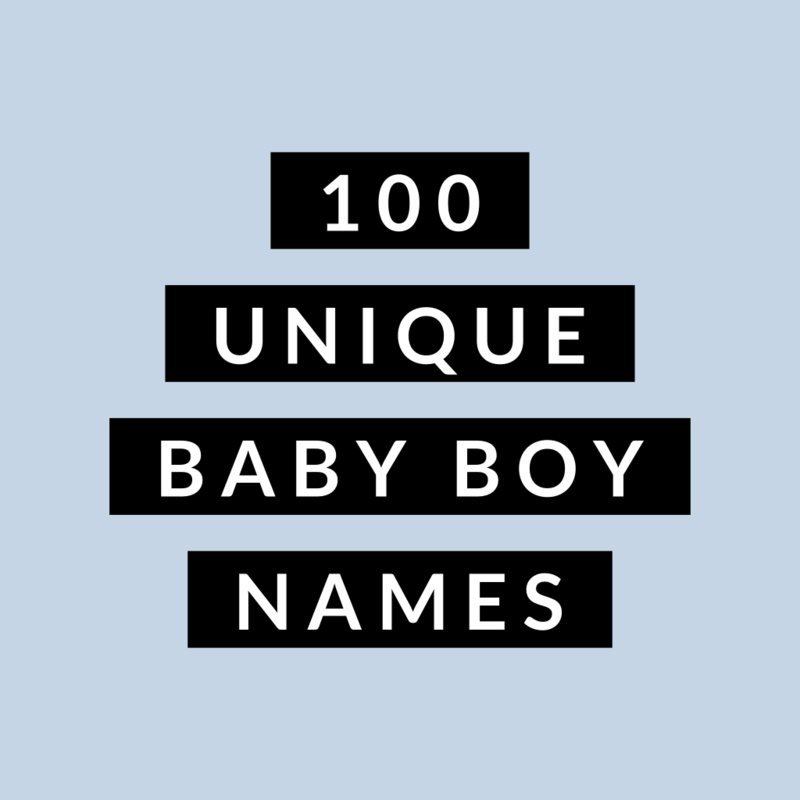 Boy names = not our strong suit. I think we have a couple favorites we are deciding between, but many of you messaged me asking if I would share the name suggestions that came in. I figured the best/most long lasting way to do so was over here in a blog post that can be easily referenced! 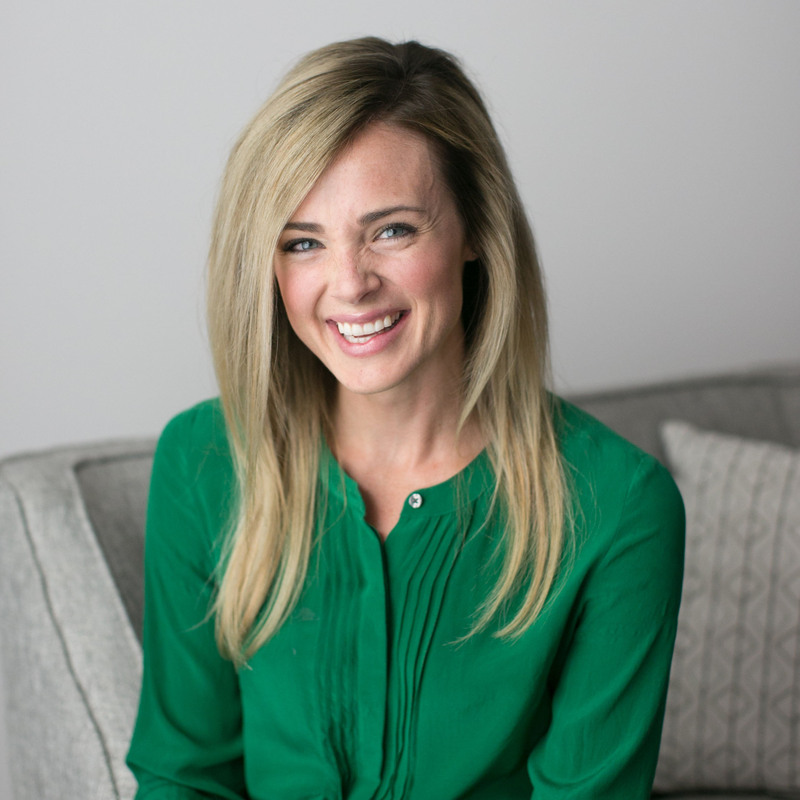 If you’re struggling like we are to come up with a baby name then I hope this can be helpful to you, too! Hi friends! I can’t believe that I don’t have this recipe up on the blog. 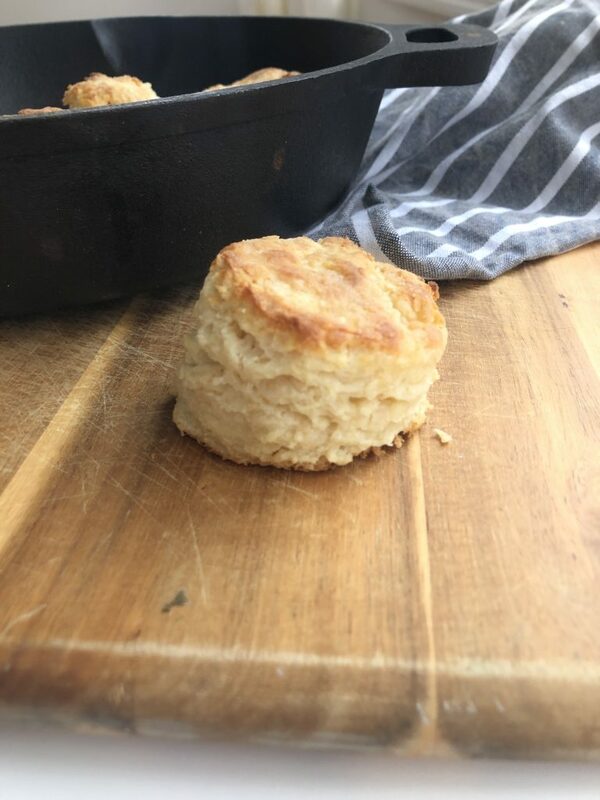 It’s our family’s absolute favorite biscuit recipe and the recipe that my mom made for me growing up, too. I realized I do have a version of this recipe up on the site from years ago, but for some reason I made them with whole wheat flour rather than all purpose flour, a decision I don’t really understand since these biscuits really should just be made with all purpose flour. They are flaky, buttery, perfectly delicious. 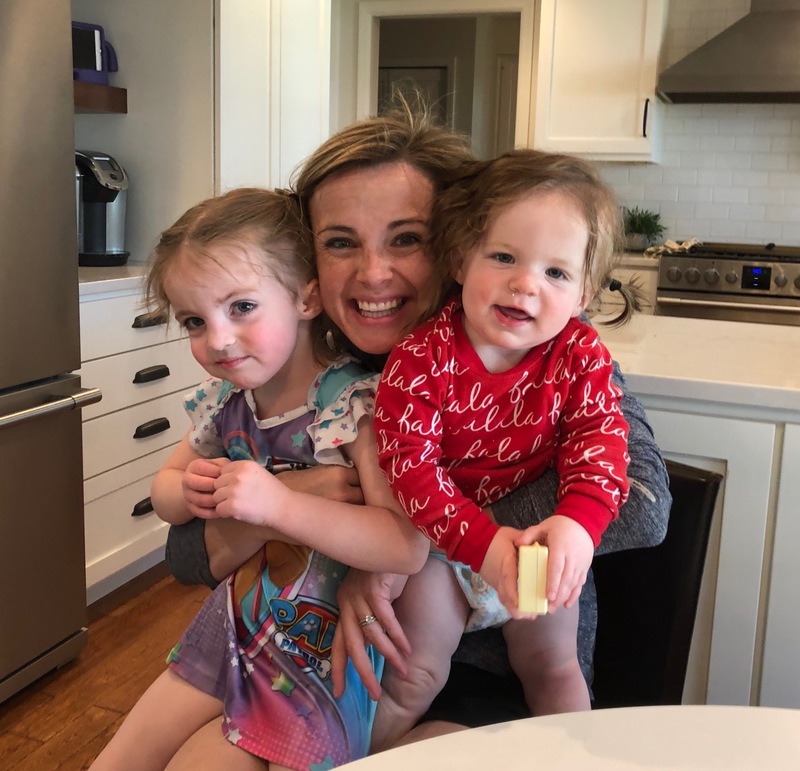 Every single time I ask Joe on the weekends, “What would you like for breakfast?” He gets a sly little smile on his face and says, “You don’t want to make biscuits, do you?” Thankfully, they are so easy to make that I am usually happy to oblige. And once you have the method and recipe down, it’s easy to remember and recreate from heart, no recipe needed! Heat oven to 450°F. 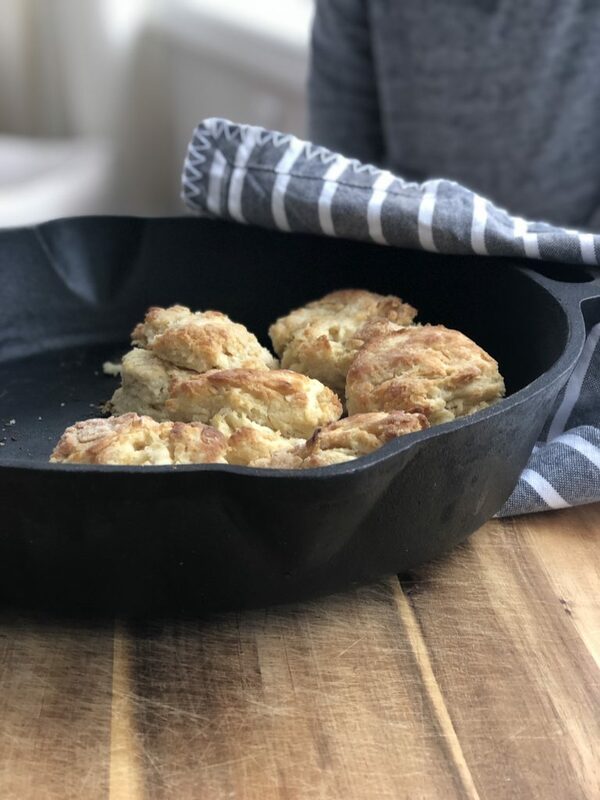 Line a baking sheet with parchment paper OR use a cast-iron skillet for baking biscuits. If you use a cast-iron skillet, you can skip the parchment. In a large mixing bowl, combine the flour, baking powder, sugar, and salt until well combined. Add butter to flour mixture and use pastry blender or fork to work butter into flour mixture until the mixture resembles a coarse meal with some slightly larger pieces remaining. Add milk to the flour mixture and stir until just combined. Turn mixture out onto countertop and bring mixture together with your hands. Knead 3 to 4 times until dough comes together. Flatten into a 1/2-inch-thick disc. Fold dough in half crosswise to make a double thickness of dough. Use a biscuit cutter to cut biscuits from dough. Place on baking sheet or into cast iron skillet. Brush biscuits lightly with milk, if desired. Bake 13 to 15 minutes or until biscuits are golden brown and fluffy. Serve with butter, jam or honey! 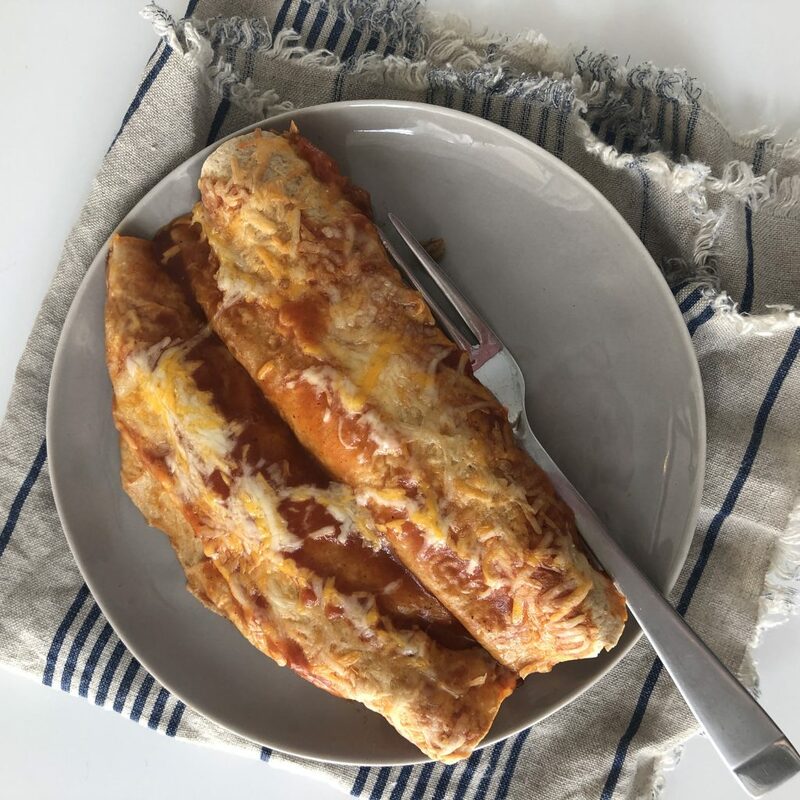 We might as well just call these “pregnancy enchiladas” since this seems to be one of the few foods that regularly sounds good to me. 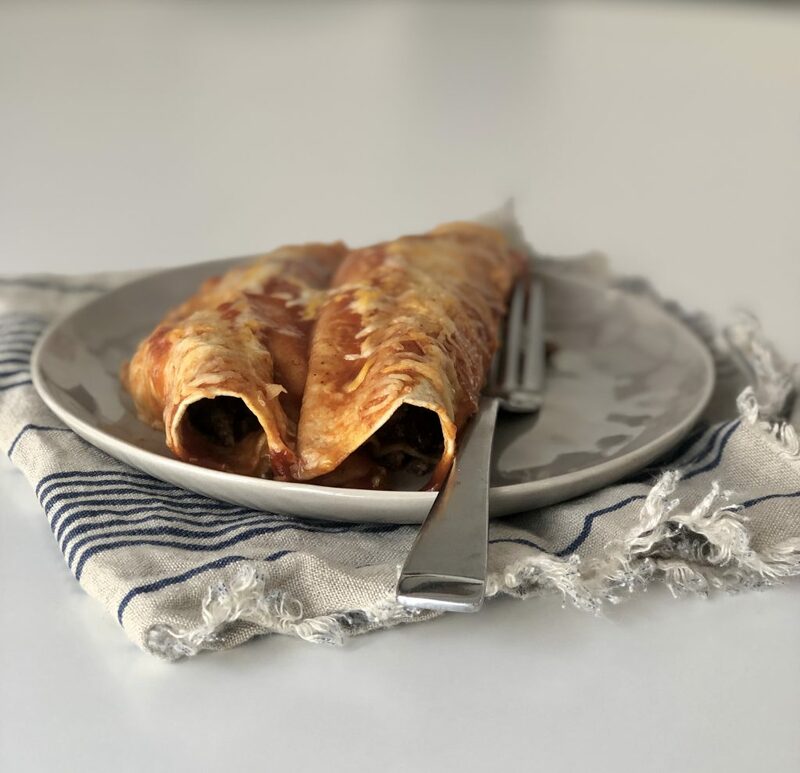 Even 16+ weeks into this pregnancy I’m still feeling pretty sick to my stomach most days and enchiladas are one of the few foods that I can count on to sit well with me. While I tend to prefer enchiladas from a taste perspective with regular-old white soft taco shells, for the sake of health seeing as that I’m eating SO MANY enchiladas these days, I’ve been reaching for the whole wheat shells instead. Either will work and both taste delicious! Heat oven to 375°F. Pour 3/4 cup of the enchilada sauce into the bottom of a 13×9-inch baking dish and spread to evenly coat the bottom of the dish. Set aside. In a large skillet over medium high heat, brown the ground beef; drain excess grease. Return beef to pan and add the garlic. Cook 2 minutes more or until garlic is fragrant. Remove from heat. Add in the black beans, chili powder, cumin, oregano, salt, onion powder, water and 1/4 cup of the cheese. Stir until combined. Spoon mixture by 1/2 cupfuls into the center of eat taco shell. Roll up and arrange filled shells in the prepared pan. Top with the remaining enchilada sauce; top with the remaining 3/4 cup of cheese. Cover pan with aluminum foil and bake 20 minutes. Remove foil and bake 20 to 25 minutes more or until bubbly and edges are just slightly crispy and browned. Cool 10 minutes before serving.